One of the dreamiest destinations we've ever visited was Victoria Falls in Zambia. Zambia surprised us. Known as the adventure capital of Africa it truly lives up to its name. We cycled through Zambia during our trip through Africa from Cairo to Cape Town and I remember how lush and green the country was. I remember riding on its high plateau and seeing trees for as far as the eye could see. It was a beautiful trip through the country and I'll never forget riding into Livingstone to witness the magnificent Victoria Falls. We had two days off from cycling and we were going to make the best of it. 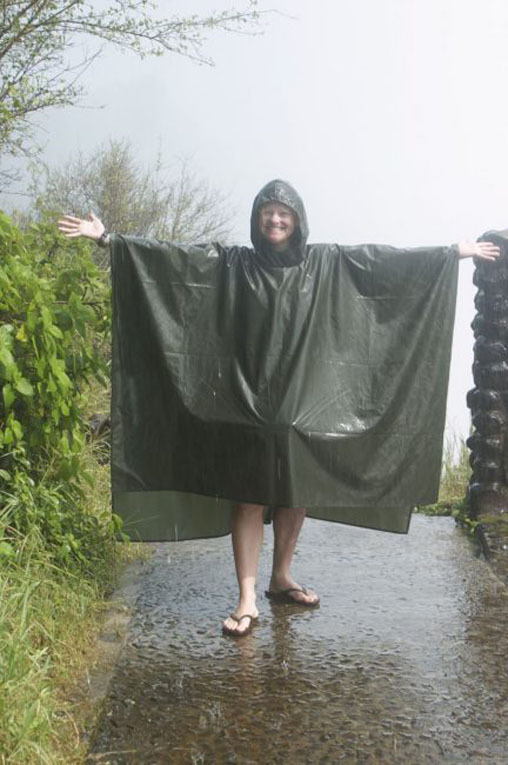 So what does one do when visiting Victoria Falls? They do amazing adventures. Boy, was I in for an awakening. Victoria Falls was out of this world. It's the world's largest waterfall by volume and the setting within the Mosi-oa-Tunya National Park makes for a remarkable setting. The sight of it is beautiful enough, but the adventures to be had, make it an extraordinary dream trip. The Spectacular Batoka Gorge is 350m wide and over 100m deep and carved over millions of years by the raging Zambezi River. This is your chance to soar over the gorge, abseil into it and jump off of it. 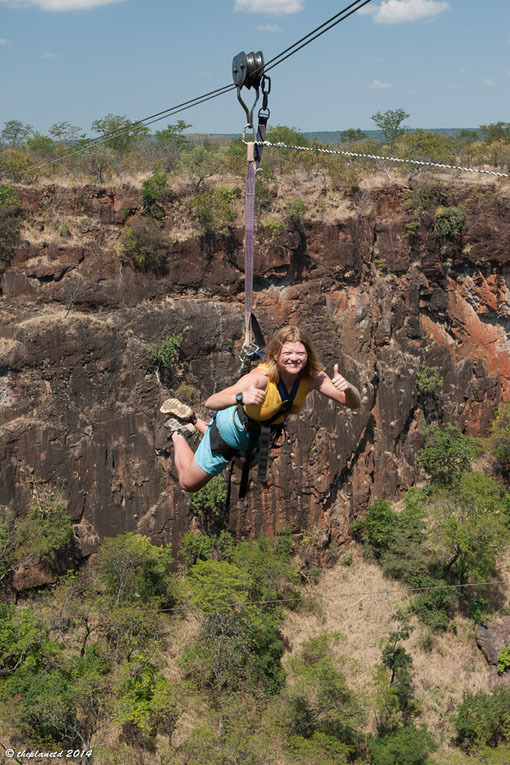 The Zambezi Gorge Swing will definitely get your adrenaline pumping. 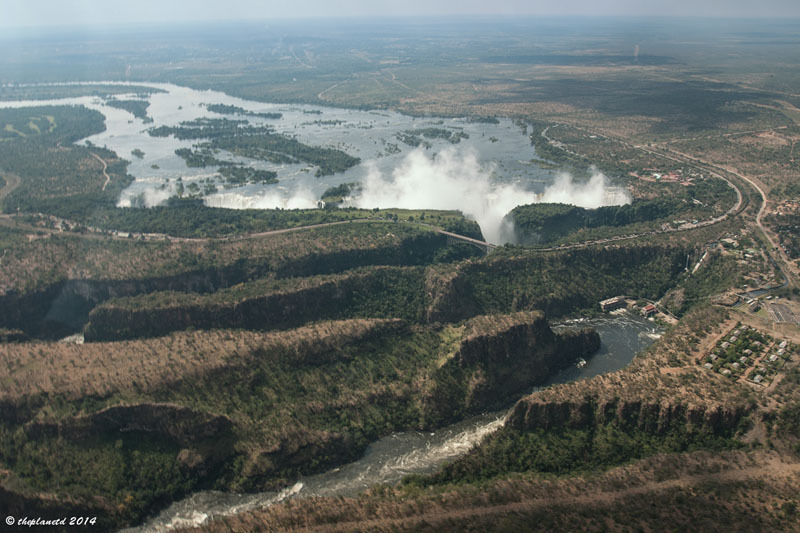 One cannot truly understand the scope and scale of Victoria Falls until you view it from the Air. We took a hair-raising trip through the gorge and up over the falls by helicopter. They compare this trip to whitewater rafting in the sky and we can understand why. We twisted and turned and bumped up and down. 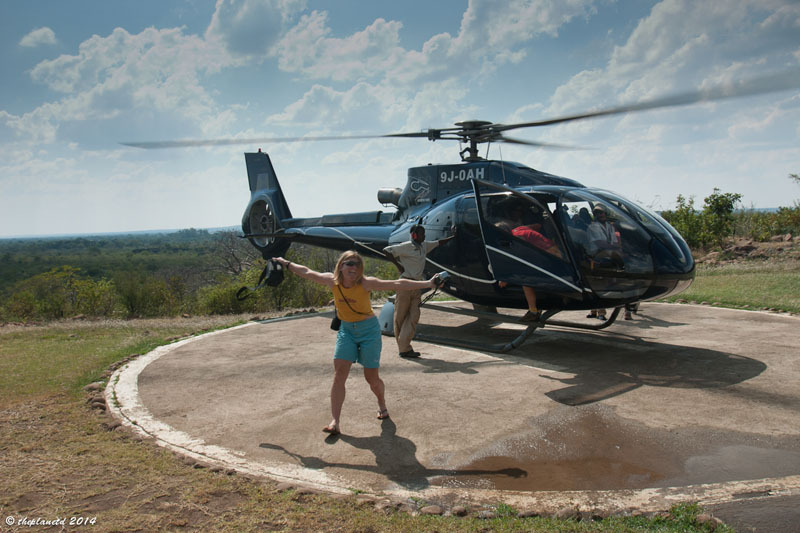 It was a thrill ride with a magnificent pay off at the end where we viewed all of Victoria Falls in its glory. If you want an adventure that makes your hair raise even more, a microlight flight over the falls is for you! This way of sightseeing truly lets the wind rip through your hair and is as close as you'll feel to flying like a bird. 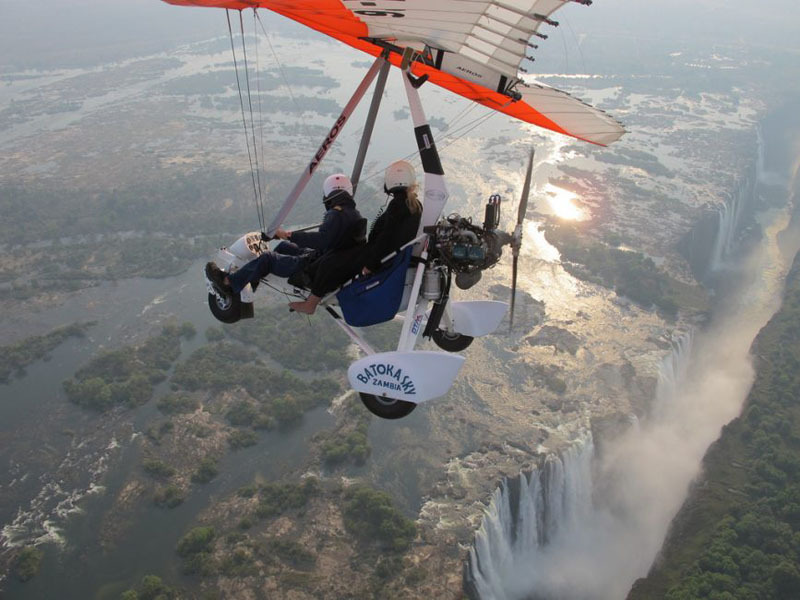 Hear the roar of Victoria Falls as you soar over head. Walking next to the powerful Victoria Falls will make anyone’s heart pound. Entering the national park beside the falls, a network of trails takes you right up to its face. Covered in spray it is a thrilling experience being so close to the thunderous water. The path takes you to a narrow bridge that you can walk across. The bridge is so close to the falls that you are engulfed in a mist and fog. Once you make your way across, you are free to explore trails and paths that wind their way through a patch of land directly across from the falls. You will be able to see it from many angles. Dr. Livingstone, I presume. 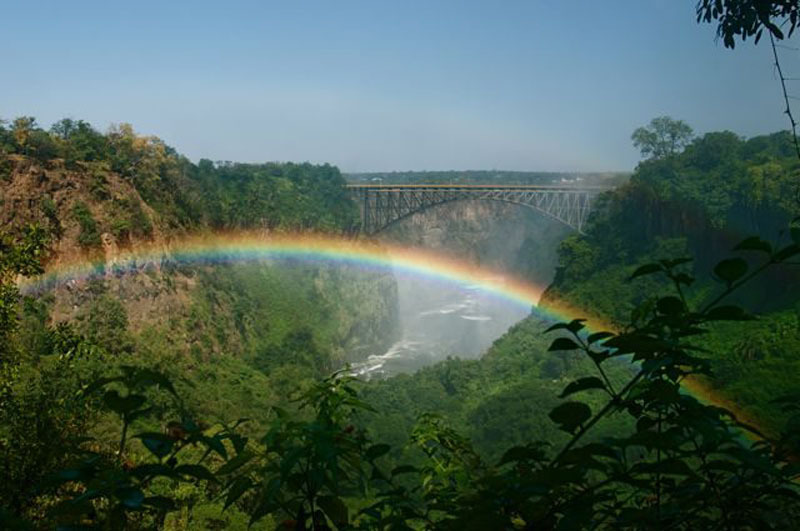 David Livingstone introduced Victoria Falls to the world. The Native People of Zambia already knew about the Smoke that Thunders and Dr. Livingstone took guides from The Makololo to navigate the waters. 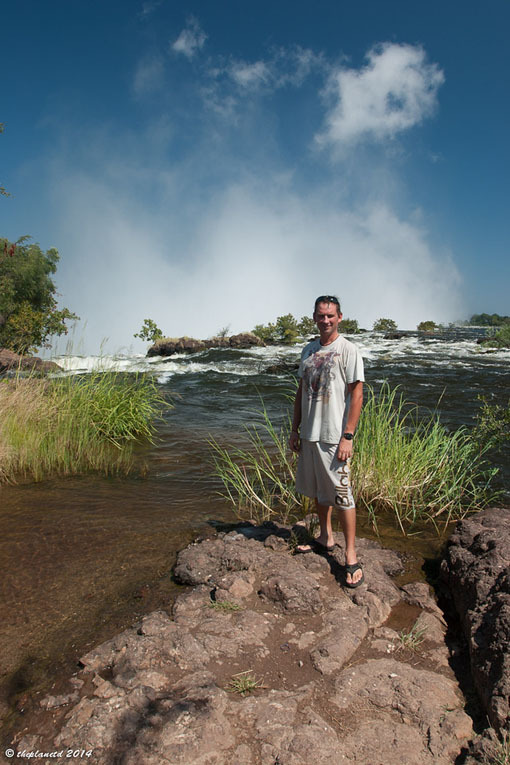 You can visit Livingstone Island located on the lip of Victoria Falls where he first landed with his guides back in 1855. Tours are offered during the low season where you can a twin engine power boat ride out to the island. 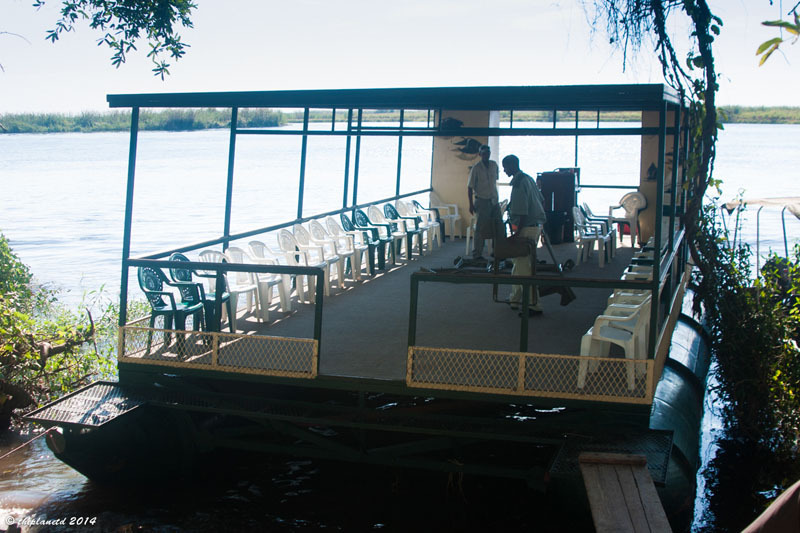 The Zambezi Sun Hotel is the closest hotel to Victoria Falls and you can enter the National Park through it. Wild zebras and giraffes roam the grounds and you can even use their pool. For us who were camping through Zambia, this was a treat and a half. 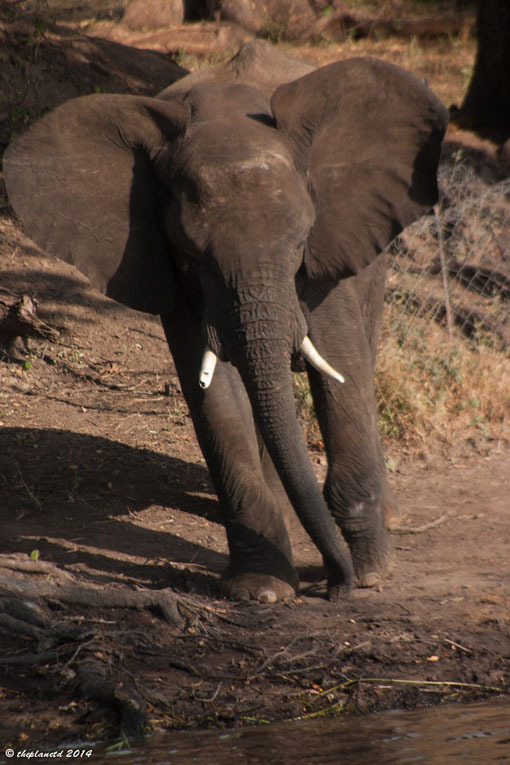 It may sound strange to go to a different country for a safari, but Chobe National Park is just a short drive from Victoria Falls and it's one of the most spectacular locations to go on safari. Famous for its river safari, you can float on a barge and watch animals come to life on the river as the sun goes down. Victoria Falls is definitely a destination where you want to save your money before traveling. Because once you get there, you'll want to do it all! I know we were running low on cash, but we looked at this as a once in a lifetime experience and I am glad that we gave everything a try. Have you been to Victoria Falls? What was your favourite adventure? 24 Responses to "Dream Trip: 7 Things to Do in Victoria Falls, Zambia"
It really is awe-inspiring, especially if you see it at high-flow. And flying above it really did take my breath away. I would love to take a helicopter ride over the falls! 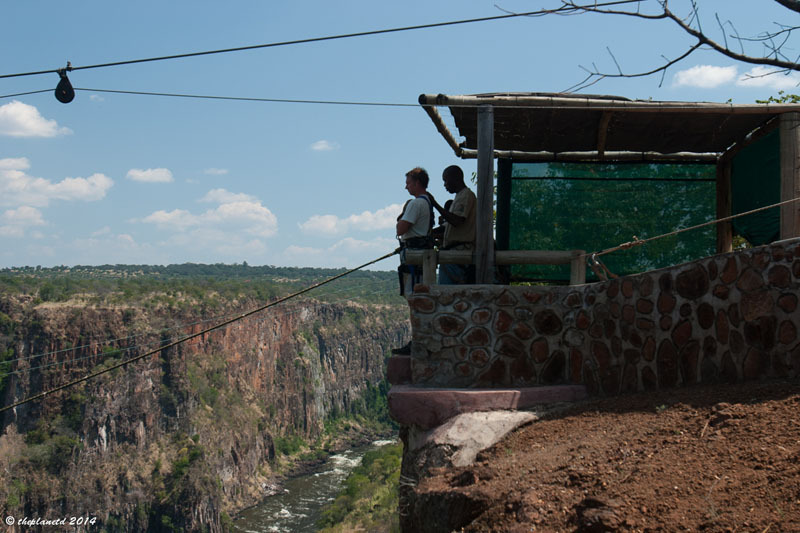 There are so many activities to do and so many things to see around the Victoria Falls. I just love that place and keep on visiting it over and over again. 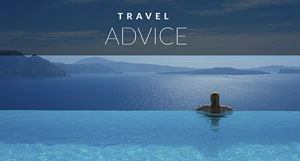 I visited South Africa and Lesotho, but i really wants to visit Victoria Falls and Iguassu Falls in Brazil. These are the 2 biggest water Falls in the world. Greta photos, great pots. 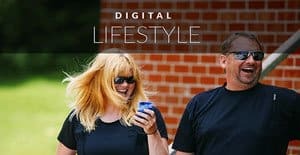 What an incredible life! Thanks! We haven’t been to Lesotho yet. I wish we went when we were in South AFrica. It would have been to just check it off the list though, so I’ll have to go back to give it a proper visit. Victoria Falls was featured on the very first episode of The Amazing Race back in 2001, and ever since I have been ob-sessed with the smoke that thunders. Your pictures are amazing and It is going right back up to the top of my bucket list! Did you do Devil’s whirpool? I think I would be afraid actually. Victoria Falls still the most amazing thing I’ve seen anywhere. I lived in Zambia as a kid (from 8 to 10) and got to visit it. Then again 10 years later. But that’s 30 years ago now and I wonder how its changed. Back then everyone was leaving Zambia for Zimbabwe…now of course the other way around. Have some good stories of life in Zambia. Wow that is so cool. I’m glad we could bring back some fond memories for you. We didn’t make it to Zimbabwe, but I’d like to go. I’m sure it is beautiful. What a view from the micro flyer! Haven’t been to Vic Falls, but want to do Devil’s Pool! When we were there the water was too high, so Devil’s Pool wasn’t an option. I’d love to go back to do it. I gasped when I saw the pic of the microflight! What a spectacular sight and unforgettable experience! A definite must-do for me. A microflight is an amazing way to see a place. Especially at a place like Victoria Falls. Wow, I never traveled in Africa before, but after watching your images I think I will try this summer a trip there. When is the best moment to go in Zambia, during the spring or the summer? That’s amazing Ariana, I hope you share your experiences in Africa with us. I believe summer is prime season in Zambia and it’s the driest at this time. Spring is nice because it is still lush and green. I don’t think there is a bad time to visit Zambia though. Victoria Falls is an awakening to the soul and the mind! A true quench to the wanderlust in anyone! So majestic, so blissful! Just look at it! Definitely need to go there! I think it will be a revelation. Beautifully said Al. Your words make me want to go back! Oh wow that microflight!! 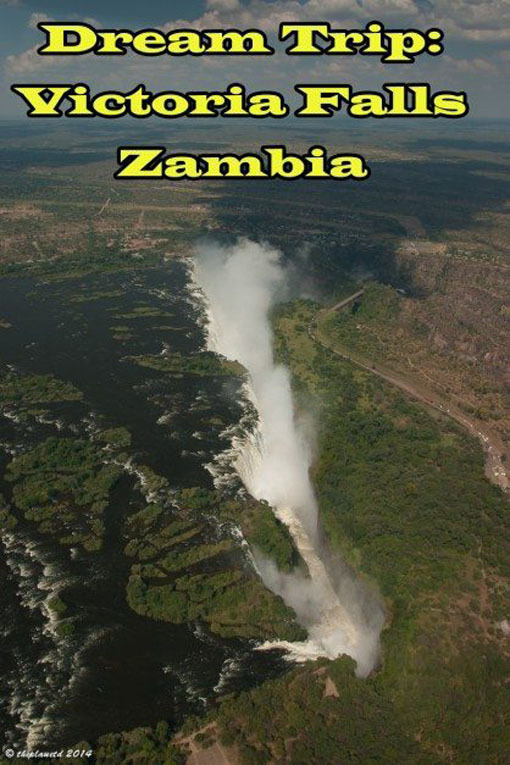 Zambia is high on my wishlist for sure!! Hi Sabine, you are lucky that you have had the chance to visit it again and again. We’ve only been once, but it was a dream trip of a lifetime for us. I’d love to go back. This is high on my bucket list – I would love to take a helicopter ride over the falls! The helicopter ride was exceptional. The ride through the gorge was so thrilling and then to climb out above the falls was breathtaking. Oh my gosh this looks like the trip of a life time! It has me wanting to go on a huge adventure so badly now. 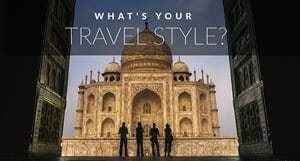 Major case of wanderlust! Hi Diana, i hope you get the chance to go on a major adventure soon too! 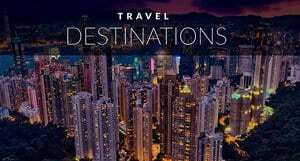 We used to always browse magazines and watch TV shows and dream of these destinations and count the days until we could go on our next adventure. It all starts with a dream.